It is important to understand the disabled driver laws and guidelines in your state, even if you are not disabled. Every state has slightly different laws when it comes to disabled driving. If you require a wheelchair, cane, crutch, or other assistive device in order to be mobile. 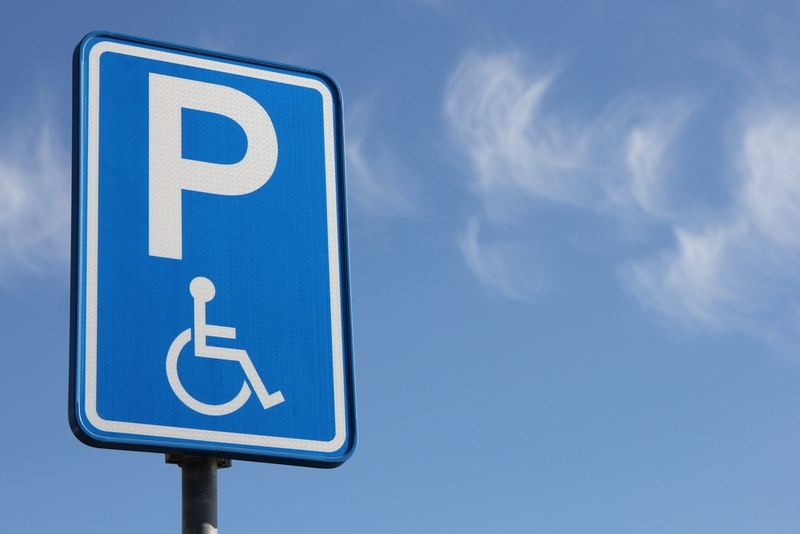 If you feel you suffer from one or more of the following conditions, you might want to look into applying for either a disabled driver placard or license plate, both of which will allow you special parking privileges. I feel I have one or more of these conditions. What is the next step? You will want to complete an Application for Disability Parking Identification. In addition to this form, you must complete a Medical Examiner's Certification of Mobility Impairment (Form DPSMV 1966). Your medical professional needs to fill out this form in order to certify that yes, you suffer from one or more of the above conditions and that you require special parking privileges. Have this person fill out and sign the portion of the application that they are required to complete, and then take the form to your local Louisiana DMV. Please note, that in Louisiana if your doctor certifies that you unable to go to the DMV to submit your form in person, that you may have someone go and apply in your place. This person will need a color photo of you, your medical certification, and he or she must be able to answer questions about your disability. Are placards free of charge? In some states, placards are offered free of charge. In Louisiana, placards cost three dollars. You will be issued one placard if you are eligible to receive one. Where do I display my placard, once I receive it? You should display your placard from your rearview mirror. You only need to display your placard while your vehicle is parked. Please make sure that the expiration date is facing toward the windshield, in case a law enforcement officer needs to inspect your placard. If you do not have a rearview mirror, you may place your placard face up on your dashboard. Should I apply for a disabled driver placard or license plate? What is the difference? You go through the same process to apply for a placard or a license. However, licenses cost 10 dollars and placards cost three. License plates are valid for two years, while permanent placards are valid for four. How do I know which type of placard I will receive? The placard you receive will match the severity of your condition. You will receive a temporary placard if your condition is considered minor, meaning it will go away in on year or less. Louisiana is an exception in offering one year for their temporary placards rather than six months, as many states do. Permanent placards and license plates are available if your condition will take longer to go away or if your condition is permanent. Permanent placards are valid for four years, and license plates are valid for two years. Once you receive your plate or placard, you may park anywhere you see the International Symbol of Access. You may also park for two hours longer than posted time limits (three hours longer within New Orleans city limits), unless parking is prohibited because of traffic, you are parked in a fire lane, your vehicle is a hazard to traffic. You may never park in areas marked “no parking anytime” or in bus or loading zones. May I lend my placard to a friend, even if that friend has an obvious disability? No, you may not. Your placard must be in your possession only. Lending your placard to someone else is considered abuse and may result in a fine of several hundred dollars. What if I am a disabled veteran? If you are a disabled veteran, you must present to the Louisiana DMV office a copy of your vehicle registration, an affidavit from Veterans Affairs that proves you are eligible for a disabled driver license plate, and payment for the transaction fee.